After a decade of making first person shooters, Guerrilla Games has undertaken a task to create an open-world action role playing game. The large open-world nature of Horizon: Zero Dawn required a system that would allow for efficient creation of non-linear quests. This talk will discuss how quests with branching storylines are made and managed in Horizon Zero Dawn, advantages and disadvantages of the chosen approach and how it compares to solutions used in other RPGs. Leszek Szczepański started making mods for RPGs in high-school, later continued creating small game projects. 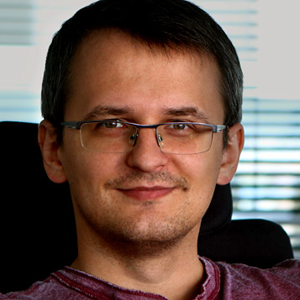 While working on his degree at the Polish-Japanese Academy of Information Technology he worked as a professional Dungeon/Game Master, later joining Playsoft as a programmer/designer to create mobile games, where he worked on over 20 titles, for different platforms, including Metal Gear Acid 2 Mobile, The Sims 2: Castaway, and Ultimate Mortal Kombat 3. Later he joined Guerrilla Games as gameplay programmer to help create Horizon: Zero Dawn and finish Killzone: Shadow Fall for PlayStation 4. This talk will follow one quest from The Witcher 3: Blood and Wine from its inception and development to the finished version that was released with the expansion. It will explore how the story was developed, how characters changed and how everything was combined and implemented in the game. 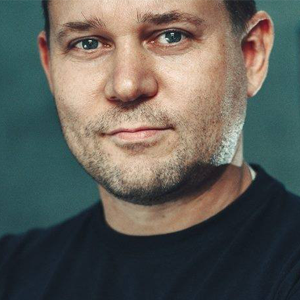 Philipp Weber is working as a Quest Designer for CD Projekt Red since almost 3 years and during this time he worked on “The Witcher 3: Wild Hunt”, and its expansion packs “Hearts of Stone” and “Blood and Wine”. 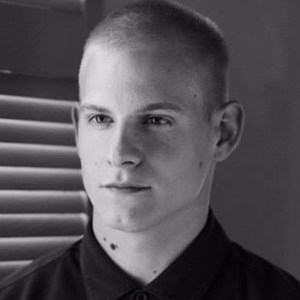 Before that, He was studying archaeology in Germany (where he comes from). During that time, he won a modding contest for The Witcher 2, where he created his own level and storyline – this was his entry point to the whole industry. How a stealth horror game that failed on Kickstarter broke the Internet. 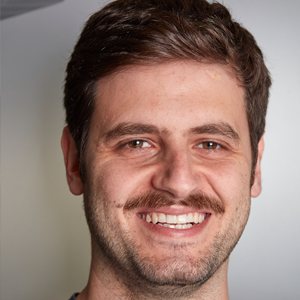 Alex Nichiporchik will share the story of Hello Neighbor, a game that took a new approach to driving up hype with a completely free, glitchy alpha demo through the power of influencers. 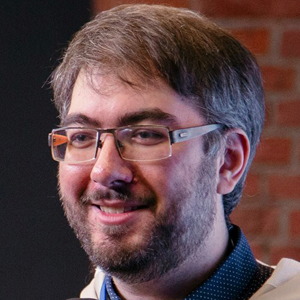 Alex Nichiporchik founded tinyBuild in 2011 to make video games. The company has since then worked on games like SpeedRunners, Punch Club, Hello Neighbor, Party Hard, and more – in most of which Alex acts as a producer from the publishing side. Ever wonder why some Games, Developers and Variety Broadcasters succeeded and others don’t? Twitch’s Jon “Carnage” Joyce will cover what it takes to build a thriving community. 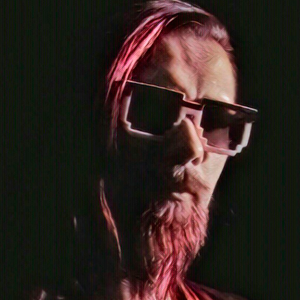 For half a decade Jon has been helping Developers, Brands and Variety Broadcasters find their own unique voice on Twitch. Join us as we cover what it takes to unlock your games full potential on Twitch! Jonathan Joyce (aka Jon Carnage), Live Programming Director Twitch. 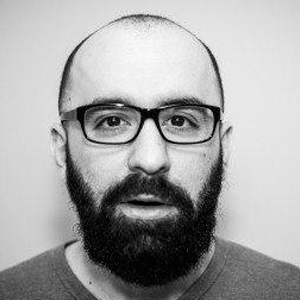 His role involves working closely with publishers and developers to determine content for Twitch’s stage presence at major conventions, such as E3 and PAX, while frequently being on-camera as a moderator for these streams. 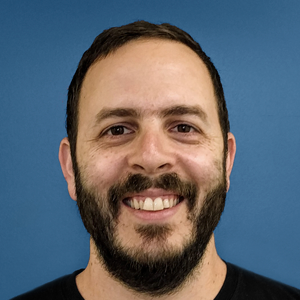 Jon also works closely with developers and publishers of all sizes to help them find their own unique voice on Twitch. 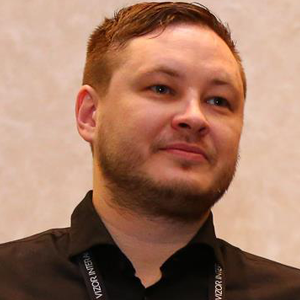 He has been working in online digital broadcasting and traditional television media since 2000, including being an online producer at Destructoid for three years. 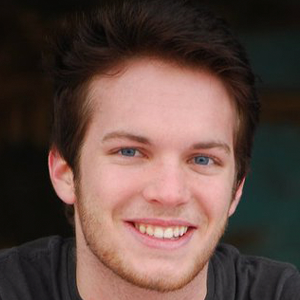 Prior to joining Twitch in early 2012, Jon was co-creator of several successful Twitch channels. Tony will present the challenges faced by talent within the Games Industry as the industry evolves at a rapid pace, and he is going to explain how leadership is key to move forward with the pace of the evolution. 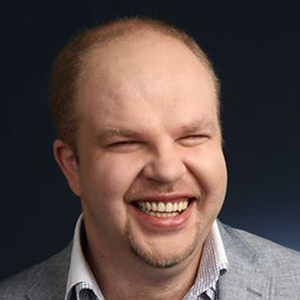 It will be the insights from his own experience in the UK and Russia and between FMCG and Games industries. Tony has vast experience centred around strategic development of businesses & brands with some creative input/ talent to support this – including Lavazza Coffee, Tetley, Red Bull, Russian Standard Vodka and Dirol to name a few. Over the past nine years this has been focused on building a team and successfully developing business for EA on the Russian market – particularly focused on driving digital sales as well as packaged goods direct to key Russian Retailers. In addition Tony performs in Russia and Europe with his own rock band ‘The Smokebreakers’, has recorded six albums of original songs and in 2000 released his first book ‘Loves Roads’. Hitman, by Io-Interactive, published by Square Enix, is a game about Agent 47, the world’s greatest assassin. In March 2016 the latest version of Hitman was released in the form of the world’s first episodic AAA game. Meaning a game that will evolve over time, with features that might only be accessible if you are connected to the cloud. This session will give insights on building such a game on Azure. 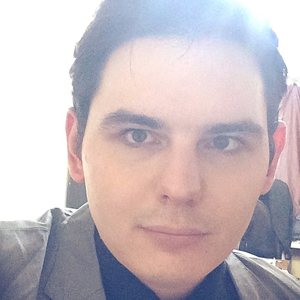 Christian Corsano is currently the lead online programmer on Hitman at Io-Interactive. His responsibility is to build, evolve and maintain, with his team, the cloud platform powering the game. This includes working on progression systems, social features and online modes, but also supporting technologies such as analytics and operation tools. Chris goes back in time to talk a bit about the development of Total Annihilation and the decisions he made to give the game a long life with a thriving mod and player community. He then talks about the current state of RTS gaming, and where he believes it is going next. 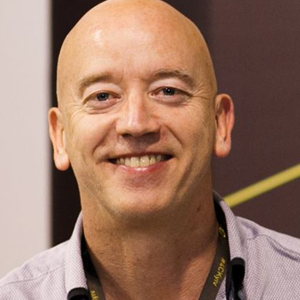 Chris Taylor is an industry veteran who has been developing games for almost 30 years. He has designed and developed a number of hit PC games including Total Annihilation, Dungeon Siege and Supreme Commander. Chris also ran his studio, Gas Powered Games for 15 years before selling it to World of Tanks developer Wargaming.net. 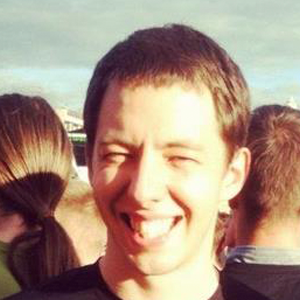 Chris is now an independent developer working on his next big RTS title. Who is the strongest? The one who is able to predict the future. People can do it better than machines now. But will it last for a long time? 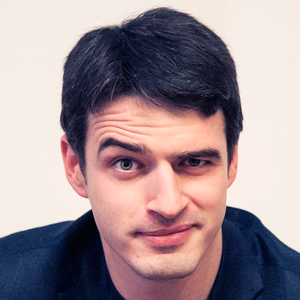 The founder and CEO of Nival, one of the oldest game development companies in Eastern Europe. He is widely recognized as one of the founding fathers of the Russian game industry. 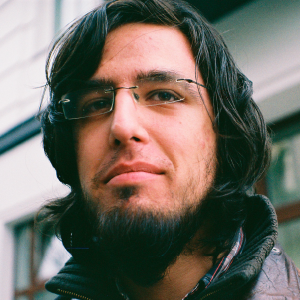 Rami Ismail, the famous indie developer of Vlambeer, used GameMaker to create such famous games as Nuclear Throne, Ridiculous Fishing, Luftrausers, Super Crate Box. He will share both the advantages of developing on GameMaker, and the difficulties associated with porting games to the console. This lecture will help you answer the question of whether or not to develop games on GameMaker depending on your ambitions. Cloud for Game Developers – Myth or Real Scenarios? There are a lot of buzz on cloud for game development. At the same time there are scenarios which benefit more from cloud as well as those that benefit less. The very goal of this session is to walk you through more than 10 gamedev scenarios where cloud works best or not so best. We will use Microsoft Cloud – Azure – as an example. 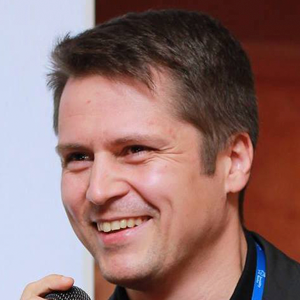 Romuald Zdebskiy is responsible for working with leading game developers in Central and Eastern Europe. Prior to that, coordinated the work of technical experts in software development and management of IT infrastructure at Microsoft in terms of the key technology priorities of the Microsoft platform. In recent years, he was responsible for the work with a number of key partners of Microsoft on the development of the region and was engaged in the release of the most popular games and applications. The session will focus on the combined use of Timeline and Cinemachine in Unity as a mean to create linear, timeline-based storytelling, but also on how to integrate them with interactive gameplay. A demo of different scenarios will be shown in the Unity editor, with tips and best practices for the two tools. 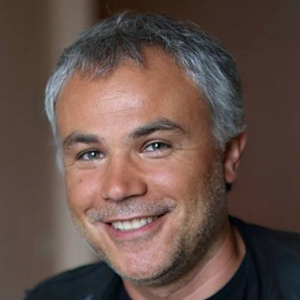 Ciro joined Unity as Technical Evangelist for the EMEA region after years of developing games at his own company. He travels from conference to conference, spreading the word about Unity. His role involves showcasing new features and advocating good development practices, but you’ll also hear a lot about game design along the way. Combined with his passion for teaching and education, his soft spot for design makes game jams his natural habitat. 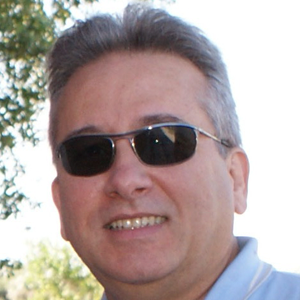 Roberto Lopez Mendez is an ARM Software Graphics Engineer. He studied Nuclear Physics but after a decade working in Physics he discovered his real passion and has been working in 3D graphics for various companies since 1995. 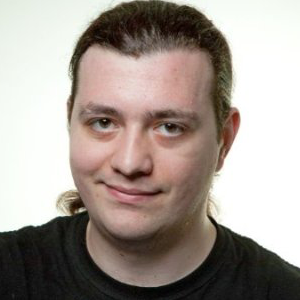 In 2012, Roberto joined the ARM Demo Team. Since then he has been working on developing optimized rendering techniques for mobile devices. He also regularly delivers workshops at different universities and talks at game and development related events. Yuri will talk about difficulties he faced during the development of 2D quest on Unity3D called Karma. Incarnation 1. This is going to be about working with large amounts of graphics in the project and various ways to optimize memory. 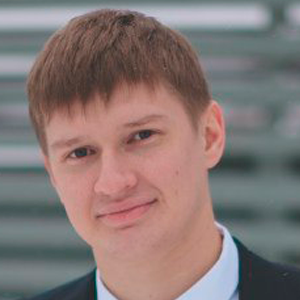 Yuri Kuptsevych is a programmer with AuraLab since 2014, has been part of the industry for about 7 years. Since 2002 he is an independent developer. Valentin Simonov. 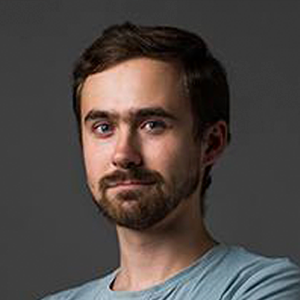 Valentin is the one who finds technical solutions for major clients and, in his spare time, he travels over Europe sharing knowledge about the different technical aspects of Unity at various conferences. 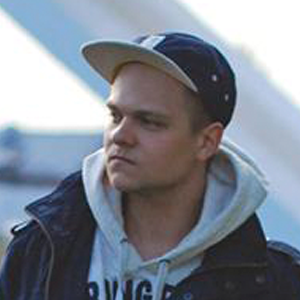 Before Unity, Valentin worked at Interactive Lab creating intera?tive installations for expos and other events; at Mail.Ru and its branches he worked on social games; delivered lectures at the British Higher School of Design and Mail.Ru Technical Park at Bauman Moscow State Technical University. 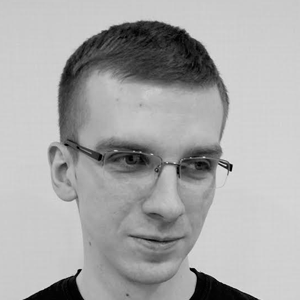 Valentin translated Unity’s book about shading into Russian and is supporting the open-source projects. He is a graduate of Novosibirsk State University. When you’re a team of 100 you just have it. When you’re a small team of 2.5 mere mortals you want to have these but cannot afford. Our case study shows how a small team has indie version of it all by using Defold. 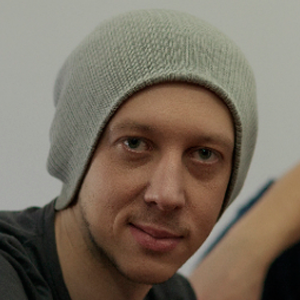 Oleg previously worked as game evangelist of Unity, also handled game production at Games Insight. At the moment he is King Evangelist and promotes their game engine Defold. Alexey works on an indie game – bring-me-cakes.com/demo/. 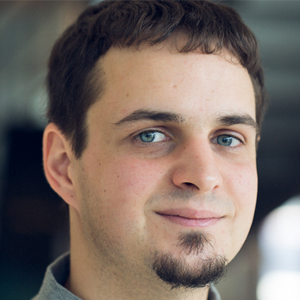 Nikita Osyak is a programmer with 7 years of experience. He worked with different platforms and technologies, he took part in development of social, mobile and desktop games. There are a lot of engines for game development in browser without any external plugins (HTML5 game engines) – Construct 2, Phaser, pixi.js and lots of others. They can’t exist without a range of web specifications. 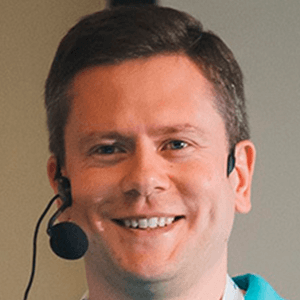 At this talk, Vsevolod will touch on the question of web specification. He will tell you about graphic-reflection, touch input, the use of gamepad, ways of data storage and lots of other abilities that browsers can provide. Vsevolod is a big fan of game development. 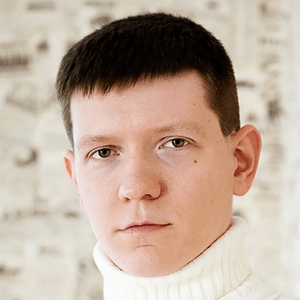 Now he works as a leading developer in Yandex, before that he has developed games for ActionScript for social networks for many years. Nvidia Blast – the brand new destruction library for games. Using all of our past experience we wrote from scratch new minimalistic and flexible destruction SDK. I am going to talk in details how it works internally, which algorithms are used and provide more general knowledge on topic for adding destructible objects in your game. Anton has 5 years of mobile game development. 2 years at NVIDIA as Software Engineer at GameWorks. This presentation contains information about benefits of Data-Driven Gameplay architecture in games development, how to organize data and work with it in Unreal Engine 4 on the example of various game projects to achieve a variety of goals. You will learn about the ways to build a dynamic data-driven gameplay, DataAsset usage examples, remote synchronization of data and many other nuances of working with data in UE4. 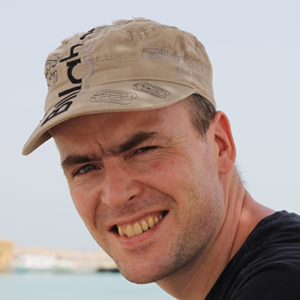 Associate Technical Director at Sperasoft with 8 years of game development experience. During my career I worked with many game engines including Unity, UDK, Unreal Engine 4 and other proprietary game engines from well known studios. How to know, how much can you earn at gamedev industry? This talk will give insight on the main sources of information with a brief analysis. Do not miss out the presentation of the results of a big salary poll of gaming industry that was taken in Spring, 2017. Apart from salaries and location that is taking into account, company business models and specializations of employees, you will learn some useful data about different approaches to reviewing a fee, bonuses, level of specialists involvement and intention to change a job. 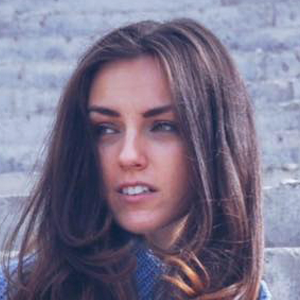 Over the past 5 years in the industry has gone the way from a PR-manager to COO of Nika Entertainment and Playrix’s Head of Kyiv Office to start her own company. Since 2015, Ubisoft company in Kiev has launched a program that is focused on development of talented young programmers without work experience. By overcoming difficulties and sometimes snatching the stars from the sky, internship has become a diversified tool of company development. From one side, it happened due to development of mentor qualities of experienced employees of the company, but from the other side due to involvement of new employees, gamedev fans. 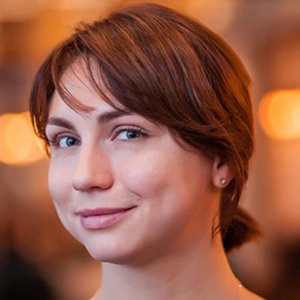 Currently, Jane Gonchar is a Project Coordinator at Ubisoft, Kiev. Gaming projects are not her only passion, she is also interested in educational events for youth. Gained a lot of relevant experience participating in educational events for students. Took up a challenge of managing Ubisoft Internship program. What’s the main goal of Welcome book in the field of a new employee adaptation? A few principles of Welcome Book creation. 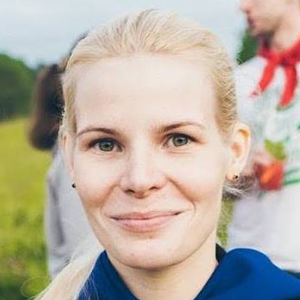 Olga graduated from Immanuel Kant Baltic Federal University, Theory and methodology for teaching foreign languages and cultures (English, German languages). 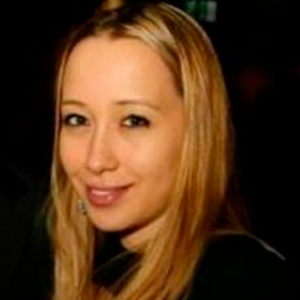 Worked as Marketing manager and Head of Marketing at Realore; Head of Kaliningrad Office at G5 Entertainment AB. Now she is a HR Director at G5 Entertainment AB. What’s your take on diversity and inclusion in games industry? There are mixed opinions on what is good and bad. And here’s mine, based on my last year at King and global travels. 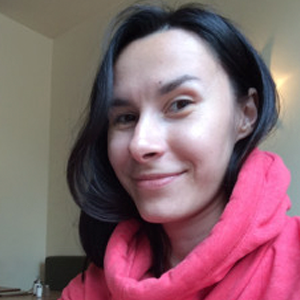 Galina will tell you what happens to your resume, after you press the “Send” button. Internal recruiting kitchen in large gaming and IT companies: how job offers are planned and how long they “live”, how and for how long candidates are being selected, before appointing for an interview, and what actually happens during the interview. HR specialist with good knowledge in Human Resources field, more than 3-years’ experience in recruiting and HR in GameDev and IT Industry. Finding unique, talented professionals is hard, and the gaming industry is no exception. Game Designers are key to creating unforgettable player experiences worth millions. But where are they? And what are the best ways of recruiting them? I will share some of ZeptoLab’s recruiting secrets, global recruitment trends and best practices. Last, but not least, I will showcase ZeptoLab’s Game Designer Challenge, winner of the Best Global nomination at the Headhunter HR Brand 2016 Awards. 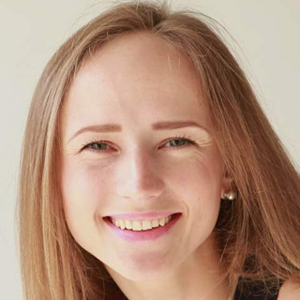 Evgenia Semenova, HR Specialist at Zeptolab. 4+ years of experience in HR Management: in-house (in game industry) and agency consultancy including hands on working on such areas as: International recruitment (Russia&CIS, EMEA), adaptation, Employer Branding, etc. Professional HR-manager or recruiter at gaming company is not a ‘good girl’ that organizes corporate parties, works with copy/past management, and sometimes tries to prove her usefulness. It is an expert that has a really good background of gaming industry, plays games, knows all the features of development process, communicates a lot with production teams, and digs really deep. 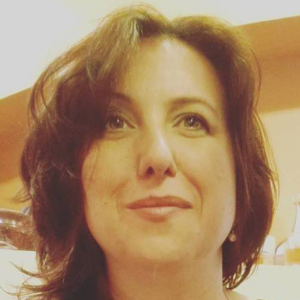 Tanja has launched a poll to gather data about who HR and recruiters really are and will tell all about it at her session using actual numbers. 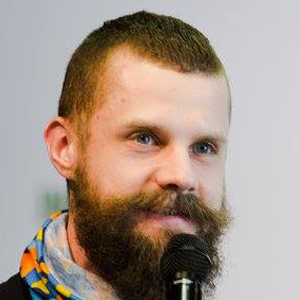 Sergey will share 6 years of experience in closing any vacancies in gamedev both in Russia and abroad (from Germany to China). He will tell how to properly build the recruiting processes and the personal brand of the recruiter within the company, in order to achieve both maximum efficiency for the company and maximum interest in the work for the recruiter. Sergey has collected a unique team of professional recruiters in Russia focused on gamedev both on the territory of CIS and abroad. Their successful recruitment cases include Riot Games, Wargaming, Zeptolab, Nival, Ice Pick Lodge, Pixonic, CD Projekt RED. Talented people are key to success no matter what industry we are talking about. How to become the employer of choice to a desired target group, one which a company needs and wants to recruit and retain? Riot Games will share the experience. Anastasia is a Talent Manager at Riot Games. Background: 9+ years developing people and teams at leading IT and Game Development companies. Core gamer. Participants of this panel will discuss the problem employees’ shortage and ways to solve it. How are things on the labor market and how to develop this market? How do companies attract and retain employees? Who is the most difficult to find, and in which skills are in plenty? Relocate or the opening of new studios? Answers to these and other questions will help companies of different sizes and their employees understand the current situation in the industry and plan their development. As social media and chat apps account for more and more time spent on mobile, they are looking for ways to further lock in users and provide them all the conveniences of never leaving their environment anymore. This resulted in the biggest mobile gaming revolution since the launch of the App Store: HTML5 Instant Games. However the opportunities for HTML5 games are much broader! This talk will feature an overview of today’s global HTML5 games market, rising opportunities, it´s biggest players and an outlook into the developing market for 2018! 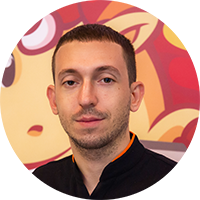 Being the Co-Founder of SOFTGAMES – The world’s largest HTML5 games platform – Andre has managed the release of more than 400+ mobile and branded web commercial games winning several industry awards and claiming various top charts. 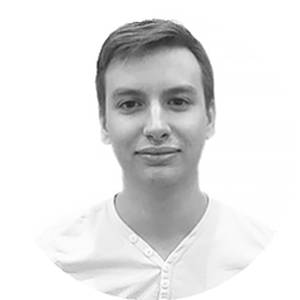 Being in charge of all user engagement activities, Andre oversees with his teams all tasks around user KPI´s, developer relations, brand marketing and content licensing. 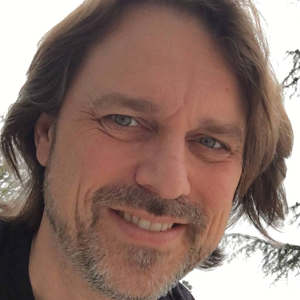 As an executive business veteran with a strong B2B focus Andre has grown SOFTGAMES worldwide extensive developer network, a role perfect for him given his previous business development experience at Mindmatics. Besides his media management bachelor title Andre holds a master degree in Marketing & Sales. Description of Facebook Gameroom platform. Launch experience of Hunger Cops and Super Sticky Jump on this platform. Pitfalls and best practices. Pixies Games Founder and Lead Developer at JoyCraft Games. Unity User Group St. Petersburg driver. Participated in development of Russian Post mobile app, Nitro Nation Stories, Lords of Asteria, Hunger Cops, Super Sticky Jump. During this session you’ll hear about how machine learning will shape the app marketing and user acquisition; the present and the future roadmap of mobile app advertising solutions from Google. 7 years at Google, lived in 7 countries, PC/PS4/Mobile gamer (46 lvl in Google Play Games). Introduction to Google’s new app-first platform for analytics and app development. Product walkthrough and game-specific cases of use: how Firebase helps develop, grow and earn. 10 years in digital, specializing on marketing and analytics. Who plays mobile games, are there any differences between games, who pays for games and who doesn’t, how they prefer to see Ads and many other things to inspire mobile developers. Master of Math, PC gamer in past and Mobile gamer right now (45 lvl in Google Play Games). In this session we’ll give you an overview of Gaming content on YouTube and discuss best practices for gaming publishers on the platform from a content perspective. 3 years at YouTube, driving Gaming on YouTube in 7 EMEA countries, speaks 4 languages. A gamer, obviously. Instant games: new word in game industry? This discussion will be about games in messengers that are getting more and more popular nowadays. The participants will share their opinions regarding the ideal instant game and, of course, will talk about the most crucial question of the platforms – monetization. Mapping out successful monetization – how to make money without hurting your players. We’ll share our company’s internal cases, explaining how we unlocked our audience’s payment potential. Heads the Game Design Department at Pixonic, which develops War Robots, the company’s flagship, as well as its other projects. The past two years under his leadership have seen the formation of a new team of game designers, as well as the successful implementation of several major updates. 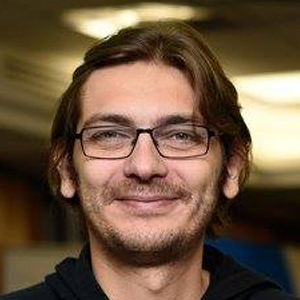 In this speech, Mikhail, one of the founders of 4 I Lab studio, will share the experience of developing a VR project in a 48-hour hackathon on the example of the game named Drunk or Dead. 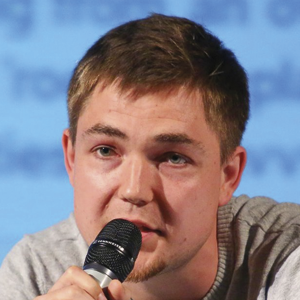 Since 2011, Michael is co-founder and CEO of 4 I Lab studio. During this time, the studio released more than 20 projects, including award-winning games Time of Dragons and Drunk or Dead. The session focuses on Gardenscapes development: how the hit game moved from Hidden Object to Match-3, what makes Gardenscapes unique and what Playrix has done to distinguish the game from other popular Match-3 titles. The session also covers post-release gameplay updates in Gardenscapes – how the in-game events are developed and introduced to the game’s story. 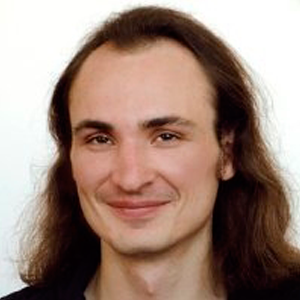 Alexander began his career as a software developer. He always wanted to make games, so when he got an opportunity to work for a gaming company he gladly took it. He had worked as the lead game designer on several casual projects before he joined Playrix. 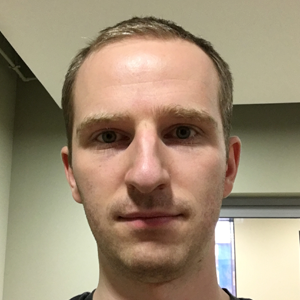 Currently Alexander is the lead game designer for Gardenscapes. There are always several specialists involved in game development (game designers, artists, programmers and even investors), who sometimes have difficulties with understanding each other. Game-focus is a simple tool for game development organization. It allows all the participants to understand what kind of game they are developing, to imagine a broad range of objectives and priorities of tasks on the project. It is a tool of communication and coordination that helps create a cohesive game, its frame which is a directing vector of team’s efforts. Product Lead of two projects in the company 2RealLife. Spellsouls went long path from first idea to soft launch during last 2 years. This session provides brief summary of this amazing journey from design perspective. It also outlines related production experiences, lessons learned and best practices. During 18 years in game industry got shipped over 30 titles for PC, consoles and handhold. For most of them contributed as game designer, while got vast experience on other roles of development as well. Before Nordeus, was Head of Game Design in Kiev studio of Wargaming.net. 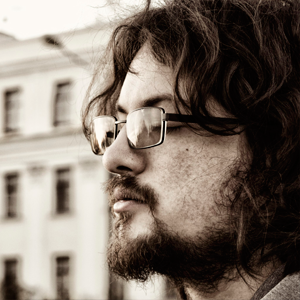 Sergey is a producer, game designer, founder of ORC WORK studio, co-founder Game Designer Cuffs. Experience in the gaming industry for more than 15 years. Worked on games: Kyryoriki, Etnerlords, Evilibrium, Mushroom Wars (mobile) and more. 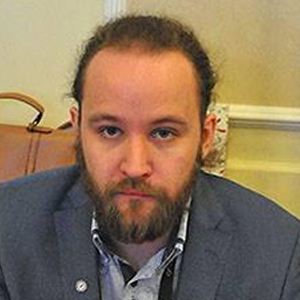 Ilya Tumenko, game designer and founder of indie-studio War&World, developing games for PC and Mobile. Co-founder of professional community “Game Designers Cuffs”. Blogging about game design, game industry, IT-enterprenership etc. Have worked as lead GD and producer in local studios on almost all kind of projects within gamedev and related fields. Two game designers will demonstrate in front of the public how to make the balance of fight for a random game. Practical demonstration not only consists of tables and mathematical methods but also of a real prototype, in which a calculated balance will be used. Branching dialogues: who’s to blame and what to do? Branching dialogue is one of the most effective and important tools of game narrative. Despite its perceived simplicity, it’s a complex game element, both from writing and technical point of view. There’s a lot of interesting problems and tricks one has to consider when creating branching dialogues. 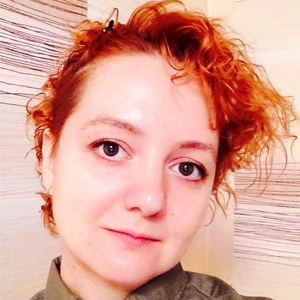 Barisbi Alborov is a narrative designer and game writer, co-author of professional blog ‘Game Designer cuffs’. – What is cohesion in games. – Examples of how different titles achieve it (or fail to do so). – How to make sure that our game feels as one connected wholesome experience to players, creating feelings and fond memories that will stay with them for a long time. 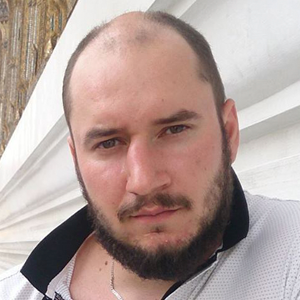 Stanislav is a Game Designer in Ubisoft Kiev. 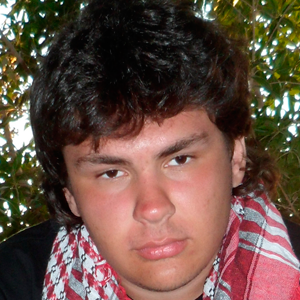 He comes from the town of Balti, Moldova. 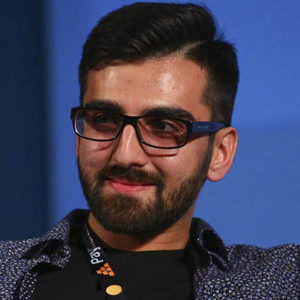 Having found out at a very early age that game design is his passion, he eventually applied and passed Vancouver Film School’s Game Design program in Canada. 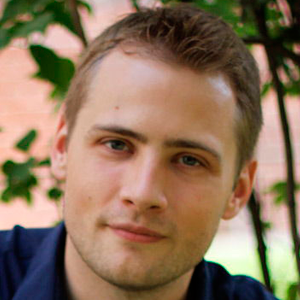 Stanislav worked at EA Canada, Peak Games, and the last two years he is working at Ubisoft Kiev. This session would cover the narrative design tools that were used in Airport City, one of the flagship Game Insight games. Throughout the years of project being in active operation the studio tried out many different game mechanics with variable impact on game audience. Ivan will share some of the lessons learnt from those experiments. 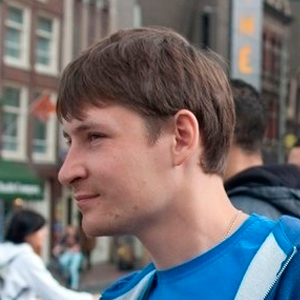 Ivan has been working at Game Insight since 2011, he made the way from game designer to senior project manager. Most of the time he dedicated to work on Airport City project and to all-round development of the project in terms of functionality and narrative storytelling. How to find a needle in a haystack of game economy? The participants of this panel will discuss what the gaming economy is and what it consists of, and how to understand if there is a problem in the economy of a particular game. How to choose the best price for an in-game product? How does the virtual economy differ from the real one? Can the tools of micro- and macroeconomics be applied to the virtual economy of the game? Session will focus on the best ways and core concepts of presenting your product and studio to potential partners, including press, publishers, investors. For corporate partners many developers are talented people, with strong gaming and design acumen, but not enough experience and focus on the business part. Sharing of a mix of publishing and marketing experience from both sides of the business is a best way forward and session will demonstrate key examples and principles of working towards a more meaningful and fruitful negotiations with your partners. 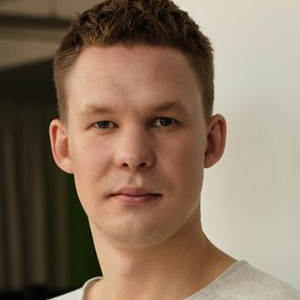 Alexander has been working in games licensing and publishing for 12 years, and is currently focusing on delivering high-quality marketing services to publishers and studios with a focus on CIS market. With former roles in marketing, operations and business development, he is now sharing experience from different markets and cases to provide complex solutions to partners’ products and businesses. 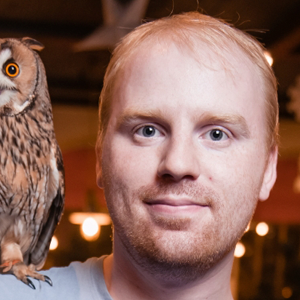 In several years, Rocket Jump, developer behind Under Siege, Under Fire, Under Control and Dakota: Farm Adventures, grew from a small studio to a big company with more than 150 employees. While the team was growing, organizational structure and work processes changed. This allowed to preserve the effectiveness of development, while constantly raising the bar of Rocket Jump games’ quality. 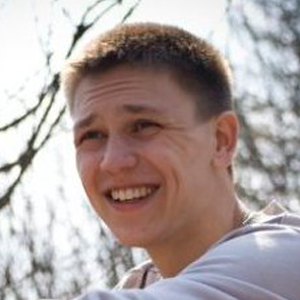 Studio Director Konstantin Mitrofanov shares his experience in developing and managing Rocket Jump, telling what obstacles can growing developers expect on their way to success and how they can be overcome. 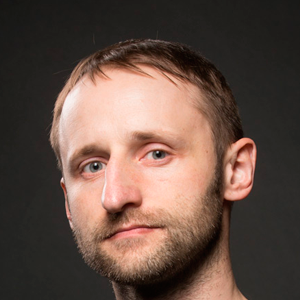 Konstantin Mitrofanov leads Rocket Jump studio from its founding and continues to apply a ten-year experience in managing projects and teams to create first-class products (Under Siege, Under Fire, Under Control, Dungeon Brawlers, Dakota Farm Adventures). At various times, he worked as Project Manager, Lead Producer and Department Head. Innovative, Unique, Funny, Exciting, Fun, Addictive. These are all words that every developer wants associated with his game. But how do you reach that level; how do you perfect your ability to identify these characteristics in the clutter of endless concepts? Not to mention on a weekly basis?! 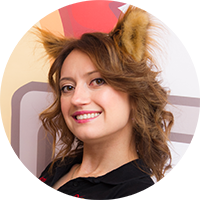 Leading TabTale’s super casual games publishing business, managing developer relations and working with developer partners across the globe to create successful games, and just as important, successful relationships. Designing super casual games created internally, from concept to execution. Working closely with artists, animators, producers and engineers to guide them in developing the game during all production stages. Navigating games across functional teams from legal, finance, marketing, R&D, project management, analytics, UA and store relationships. Goal setting is very often overlooked in game industry. Although, the right goal setting could significantly raise efficiency, quality and team motivation. This talk should help with understanding of fundamentals of goal setting, tracking and acceptance, as well as give some ideas how to improve your effectiveness and relations in the team. 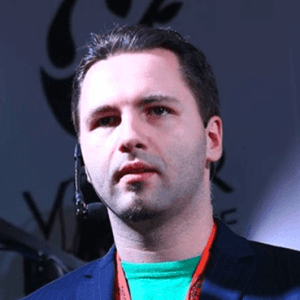 Aleksey is an external producer, game design and monetization consultant with Creative Mobile; and mentor and expert with the IT cluster in Skolkovo. He is a veteran of the game industry, and has been in it for over 10 years. He has been involved in dozens of game projects for different game platforms (PC, PS2, XBOX, GameCube, PSP, PS3, Mobile, and Social Networks). 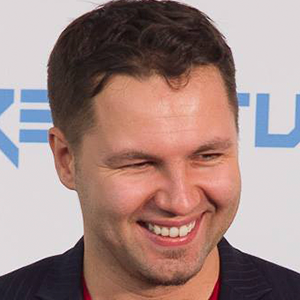 Aleksey is not only experienced in creating his own intellectual property, but also has work experience with such publishers as Activision, Midway, Konami, Disney and many more. We will describe what you should expect when you’re creating an app for kids with a famous brand. Step-by-step: from signing the contract till results in stores. Pros and cons, pitfalls, tricks and tips – it will not be easy! Is the game worth the candle? Come and find out! 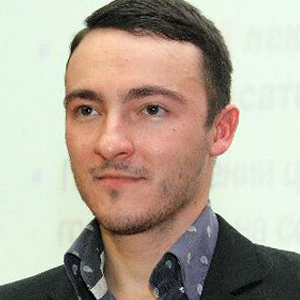 Alexey Ilin is a producer in charge of development and publishing of kids games based on animation IPs. Responsible for such titles as Be-be-bears, Paper Tales, Fantasy Patrol and many others. 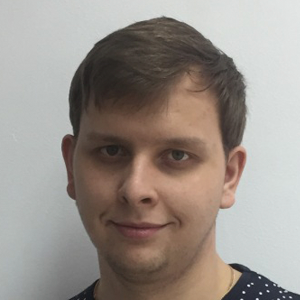 Yuriy Krasilnikov is now a director of Business Development and Producer of TrilobiteSoft company.Yuriy has experience of business development and producing products with the most popular russian kids brands: Masha and the bear, Fixies, Be-be-bears etc. He is responsible for several other project of TrilobiteSoft (PigBang, AlchemyTown) as a Business Development Director. The participants of the panel will discuss what being a development producer means in different gaming companies: what he does, how he works with the product and how to become a producer. The result of the discussion panel will be an outline of the specifics of producing mobile, social and client games in different companies. This talk will go into details on what kind of games you should launch on Steam, why indie developer should look into Steam, what are the advantages and disadvantages compared to App Store and Google Play, how to be prepared to pass Greenlight, how to release your game, how to choose between Early Access and full release. The talk will also cover information about marketing and, finally, about stages of release. Based on case studies of two games. 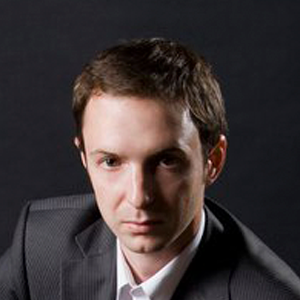 Timur Kozanov has been engaged in commercial development for more than 13 years. During this time, he managed to work on a large number of highly loaded B2B and B2C projects in the field of web technologies. In the past 6 years he has been developing games on Unity3d in such companies as Social Quantum, Destiny Development and Crazy Panda. At the moment, he heads the indie studio Double Dice Games, which develops the tactical RPG game Willy-Nilly Knight. Survival guide for independent developers after Indieapocalypse and the funeral of the GreenLight: What Ideas worth the betting on? What markets you should pay attention for? Where to get the money? Or to get everything else, without a penny? And why you should already stop thinking yourself as indie. 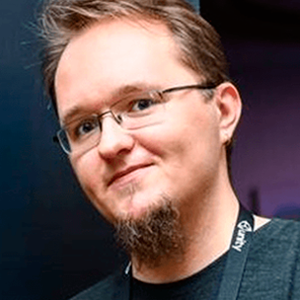 Ilya Tumenko, game designer and founder of indie-studio War&World, developing games for PC and Mobile. Co-founder of professional community “Game Designers Cuffs”. Blogging about game design, game industry, IT-entrepreneurship etc. 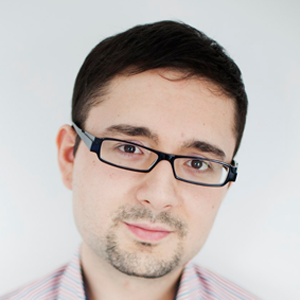 Eugene will talk about indie development, competition and opportunities in the mobile app market. He will share the experience of launching and self-publishing, based on Madness Road game. 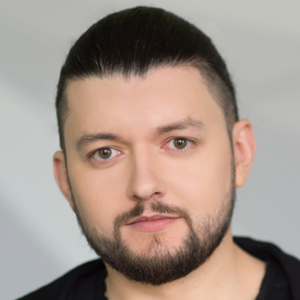 He will tell about reaching out to key gaming platforms, communicating with them, will share contacts and experience of operating after the release of the game. 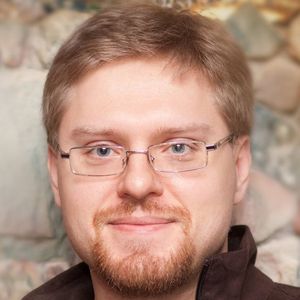 Evgeny Lavrinenko is the founder and head of the game studio Cells Games, based in Kiev, Ukraine. Indie developer, he has been in the mobile development industry for more than 6 years, a participant of gaming jams and showcases of conferences of different formats. 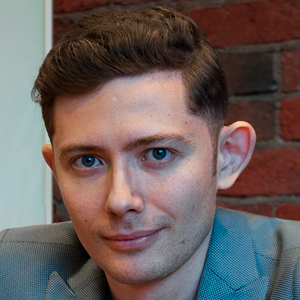 The developer of Madness Road, which won Unity Special Award in 2016. He has experience in the positions of QA-Engineer, Game Designer, project manager and producer of game projects for outsourcing, as well as operating his own projects, indie development. Choose the best growth and monetization strategy for an indie game is not always easy. FIFTYTWO studio tried almost everything during the life cycle of the famous Jellies! game: from featured paid game to in-app advertising. 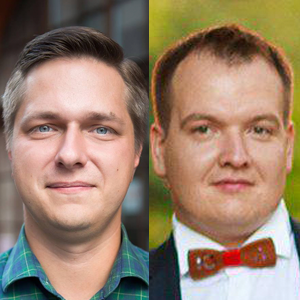 During the speech, Michael and Dmitry from FIFTYTWO will share their experience, and Karina from Appodeal will answer any questions about monetization. 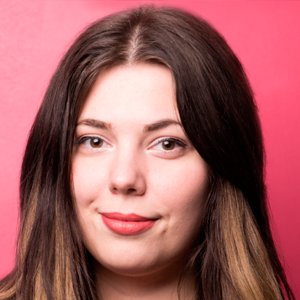 It’s was the biggest surprise for Karina to explore and found herself in game development industry couple years ago. 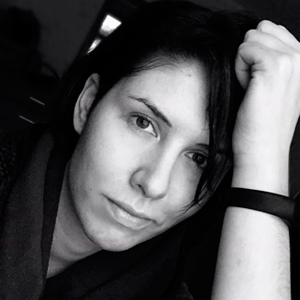 Firstly as a part of game studio, then on the other side, she has learned what it takes to develop a game and what strategies might apply for monetizing it. 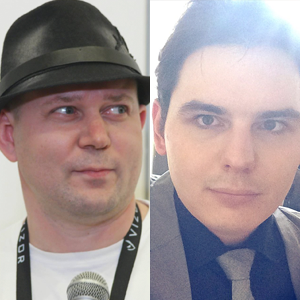 FIFTYTWO is a team of three guys who create games and work on the things they love in their own unique way. The company is independent and 100% self-funded. FIFTYTWO team believes in paying attention to the smallest details and polishing in an ongoing endeavor. 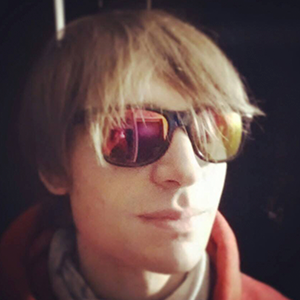 Alex Nichiporchik, CEO, tinyBuild.. and cool indies from around the world! The traditional discussion panel called Indie Survival Guide is returning to DevGAMM. We will bring together developers from different countries on one stage to discuss unique survival strategies for indies, taking into account the latest changes in the industry. Videogames marketing is one of the keys to the game`s success, and it`s dramatically changed since 2000x. What to do in 2017 to make your game popular? Main trends of gaming marketing: community driven development, UGC, video production and streaming, cooperation with platforms, cybersport and more. 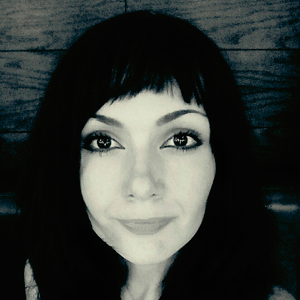 Proved marketing expert in gaming industry with more than 12 years of professional experience in marketing, PR, community management and business development. Now develops her own influencer marketing agency. 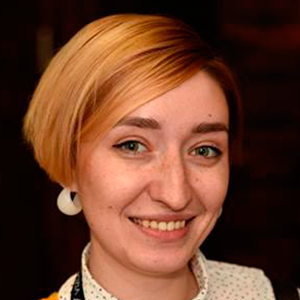 Elena will talk about the basic metrics of the online game project, how to collect, structure and use them. She will show working cases of the daily practical application of metrics. She will describe the popular mistakes in the interpretation of the metrics and share useful lifehacks. Marketing Director in Destiny Games. 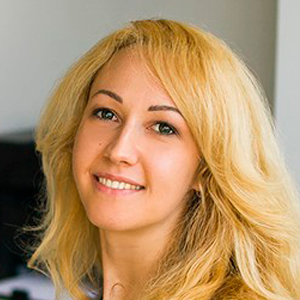 Elena took an active part in development and promotion of such projects: Tech magic, Rise of Heroes, TERA, MusicWars etc. Most impressive World of Tanks marketing and co – promo cases with Burger King, Kaspersky, Lays, Yandex, UAZ Patriot, Belavia. Can small studios with great product benefit from marketing special projects? 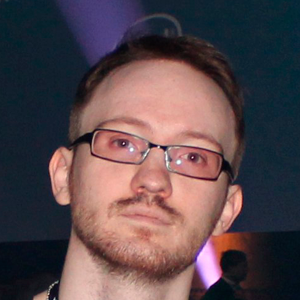 Business Development Director at Wargaming.net for 3 years, 5 years in GameDev and 11 years in IT. Passionate player who started with Sinclair in 1993. From this presentation, you will know what steps you need to take for launching a successful f2p game and creating a strong brand for your audience. 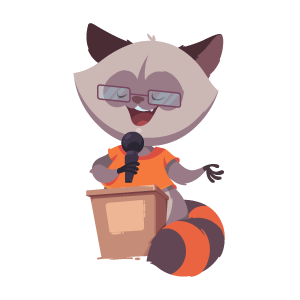 Also, Nikita will tell about some tricks which can help you to grow your audience. 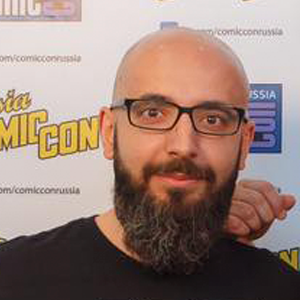 Nikita Okan has recently become a head of marketing in the game company 101xp. 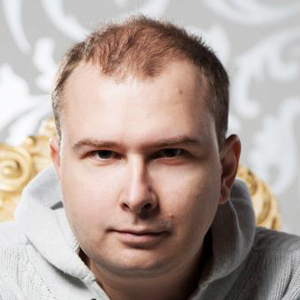 Before that, he was a brand-manager at Mail.ru Group where he was responsible for marketing of many f2p client games. He has a Master’s in Brand management and a Bachelor’s degree in Economics. Internal video production in gamedev. How does it work? The main topic of this session is vast experience of internal video production at gamedev company. It will touch on information about the way the team made, what kind of changes, tasks and difficulties the team had, what are the advantages of internal production over external. Kiryl has been working at Wargaming.net company for 4 years. He made his way from motion designer to technical manager of video production team. Starting from this year, he is a head of video production team. The case will elaborate on how Marketing Creative Services, a Wargaming in-house creative agency, deals with complex promotional campaigns on a daily basis. The most recent “What Real Men Choose” campaign starring Dolph Lundgren will be picked as an example. Art Director for Marketing Creative Services, Wargaming. With over 4 years’ experience, first as a graphic designer and eventually Graphic Design Team lead for Wargaming’s Art Department, Victor has recently shifted his profile to art direction in the newly-formed Marketing Creative Services unit, Wargaming’s in-house creative agency. Several complex projects have been released under his direction, including the most recent “What Real Men Choose” promotional campaign. The discussion will be devoted to the analysis of the main features of Youtube and Twitch video platforms. How can these platforms help (or prevent) the game to become popular? What mechanics to consider when developing a game? How to motivate players to create more video content, how to work with influencers, how to interest cool streamers? The well-coordinated work of artists on a large project is very important: the results of this work are visible, so to speak, with the naked eye. And if the work is not adjusted well enough the consequences will not only be a delay in terms and unnecessary nerves, but also a clearly visible fragmentation of the project. How to preserve the unity and integrity of style when working with a large project? How to establish the work processes within the team of artists so that the team worked as quickly and efficiently as possible? How to make the transfer of tasks to new assignee as quick and painless as possible? Vera will talk about these and many other points in her talk. Vera learned to draw 23 years ago. 8 years of which she dedicated to gaming industry. During this time she has been making her way up from freelancer to art-director. 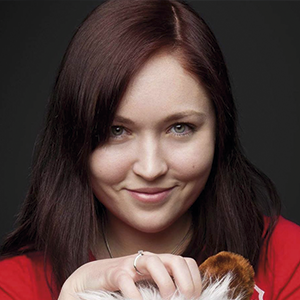 In 2015 she founded Owl Studio. The studio works both with internal projects and as an art outsourcing team. Recently, the studio has finished 7 large outsourcing art projects and a lot of small projects. Vera also teaches art and starting from January 2018, it will include the online school ‘ArtNest’. 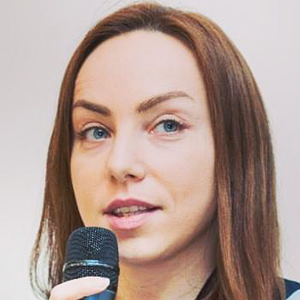 Anna will talk about the process of iterative interface development, visual and technical solutions for mobile applications, prototyping and testing of individual features and the product as a whole. Anna is originally from Moscow. 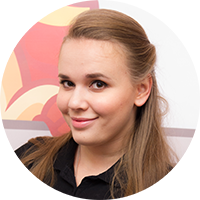 She started her career at company Nival Interactive in 2005 as a texture artist, and there she started to develop mobile apps. 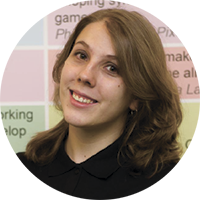 Anna developed games for different platforms (PC, Nintendo DS), social networks and mobile platforms. Daniil was born in Saint-Petersburg. Educated in Johanson Artistic Lyceum and Repin Academy of Fine Arts. He’s been working with Playkot as art lead and concept artist on project as Titans and now a new upcoming title codenamed Age of Magic. Also Daniil runs his own courses for render.ru and personal youtube channel “CG Fish”, where he shares his experiences with other artists. 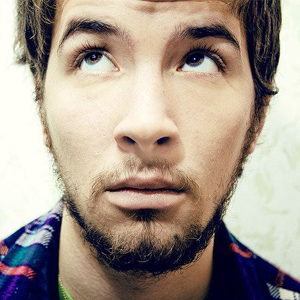 His key skills and tools: Concept Art (Photoshop), 3d modelling (Maya, ZBrush), composing and VFX (After Effects). Profession of artist requires a constant activity to stay competitive in the industry or, even more so, to get in it. You should have, broadly speaking, a really good self-discipline to work in the field. This talk will be about the iron fist, in which artists must hold themselves. 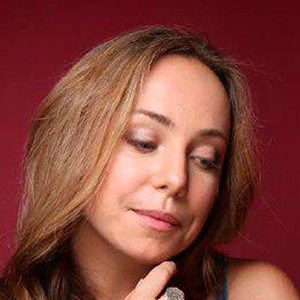 In the past, Maria was a fine arts teacher at school of art. 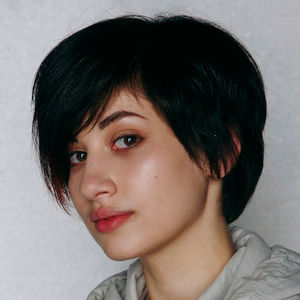 Currently, she is an Art Lead at Owl Studio. She is still teaching but now it is game graphics for CG-artists. 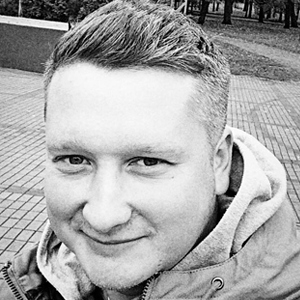 Dmitry Gladilin is an art director of Moscow studio Game Insight, he is the head of division with 30 employees, he is also responsible for the process of art-development for all the studio projects. 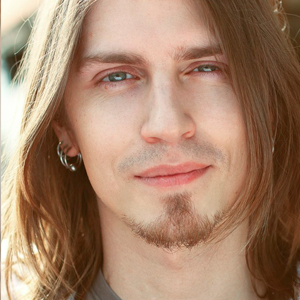 Dmitry has long experience of work with Unity and he has a unique expertise in the area of 3D and art-development. Mix of visual and animation methods for achieving original style. Yudin Evgeniy. Freelance pixel artists and badass indie developer. Worked on The Tribe, SMASHBASH, Goal Hero, Garage. Philipp Sadilov. 7 years in advertising production and 5 years in game development. Worked on Mobile, Social, Tabletop and Computer games. Currently working with Evgeniy Yudin as animator. During breaks from freelance assignments, develops educational game methodics for children with developmental delay. Features of the sound designer’s work on the team. How sound designer must work to relieve programmers from unnecessary problems. 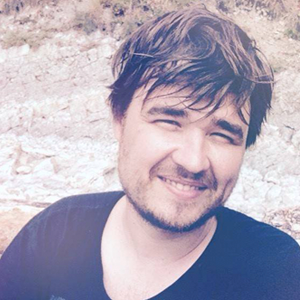 Roman Fedotovsky – sound designer, mixing engineer. I’m professional musician. Also I have more than 15 years experience in sound producing and mixing engineering. My career in game industry starts with PC games in the genre hidden object / adventure. Now I cooperate with many companies wich produce mobile games. 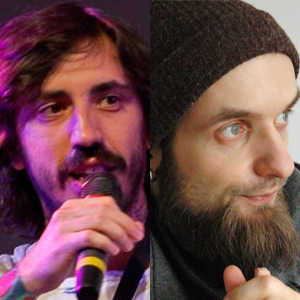 Besides I’m the lead sound designer of the project “Lost In Bardo” and founder of SD Lab company. The report is devoted to the creation of a sound stage of the game, based on the example of a remake of the Pathologic game that is being developed by the studio Ice-Pick Lodge. Mechanics created on the basis of the Unity engine will be considered, allowing to change the sound depending on the game events. 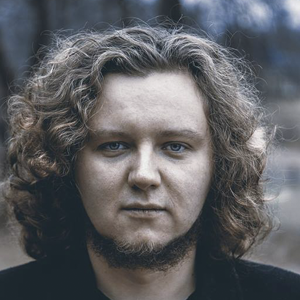 Vasily Kashnikov – audio director, sound designer and composer at Ice-Pick Lodge studio since 2007. Also worked on other projects by KDV Games, Snowbird etc. Also involved in audio producing, in animation and film production. This session is for developers of any gaming area. It will touch upon the information about the necessity in our modern world to use such audio middleware as Fmod and WWISE, and not only for AAA titles. It will describe why sound designers who know this soft will be a great addition to your team. 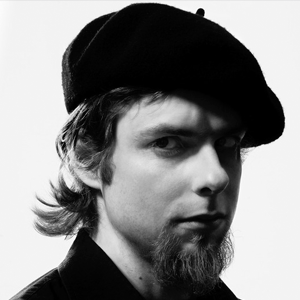 Ivan has been working with sound since 2006. Since 2009 – he has started to teach. 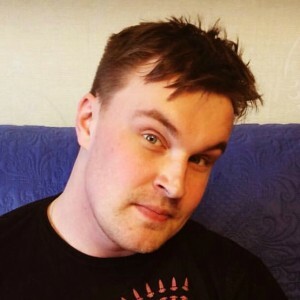 In 2013 – he became a part of Saber Interactive team, where he is working up till now. From 2014 – he has his own educational channel on Youtube ‘Potypomy’. At his spare time he creates sounds and then sells it on audio stocks. What is the best option: buy stock music or ask composer for a help? What should you do, if you can’t avoid liсensing? If your product has licensed music, what kind of restrictions can developer and gamer have? What aspects should you pay attention to in licensed agreements? Sensorica Music is a brand that has been at musical market for 12 years. 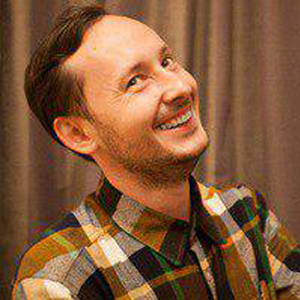 Alexander Shukaev (Sensorica) is its creator, composer and sound designer. During this time he made a long way from the root of domestic electronic music to modern technologies, overseeing, learning and applying them in his career. 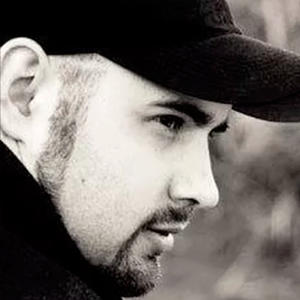 During this time, Alexander improved his skills not only as a musician but as a gaming industry specialist, sound designer and leveled up in many other areas, which are connected to the world of sound and music. Paul will talk about the infrastructure and data, moving from the previous publisher. Then about the decisions on migration and adaptation. 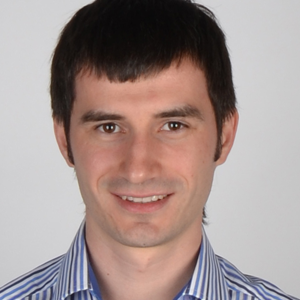 Pavel is a team lead at Mail.ru Group. 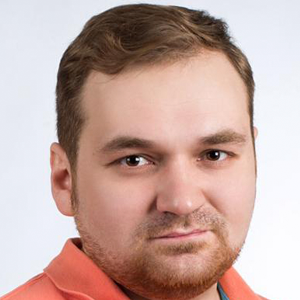 He is responsible for technical solutions in gaming sphere at company Mail.ru Group. 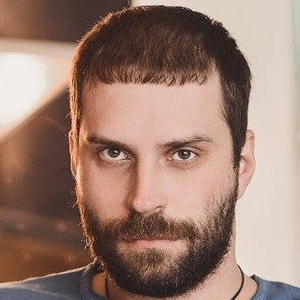 Vladimir Alyamkin is a lead developer at Pushkin Studio (Mail.Ru Games), last 5 years he actively work with Unreal Engine 3 and 4. 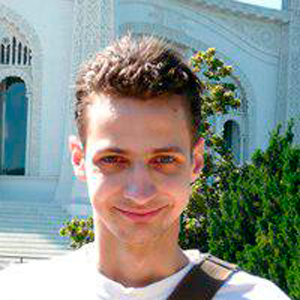 Vladimir is an active participant of the community and a developer of a range of popular open-source plugins for engine. 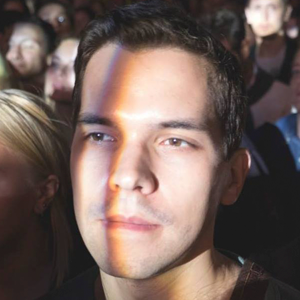 Joined Mail.Ru Group in 2015 to become PR lead of Gaming division. Graduated from the Higher School of Economics, faculty of business journalism. 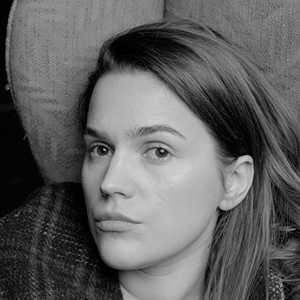 Karina has over 8 years of experience in communications, having worked for the Russian and international PR agencies as SPN Ogilvy and Grayling. And most of all, she just loves games. 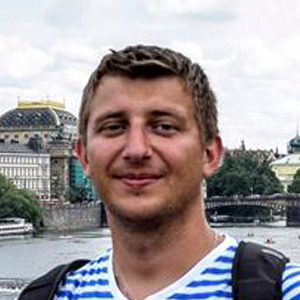 Andrey has a degree of instrument engineering but he has never worked within this area. 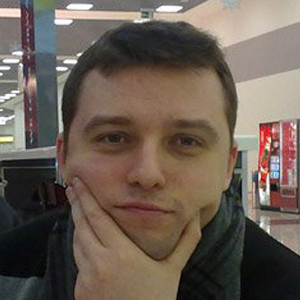 He wrote for ‘Igromania’, tested games at ‘Buka’, was a community manager and PR director at 101XP. Currently he works with bloggers at Mail.ru Group. He watches all new videos on Youtube and still hasn’t gone mad. 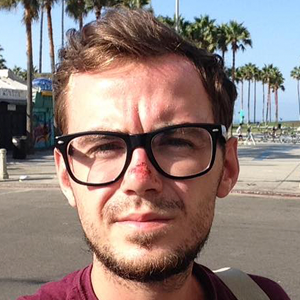 Alexander is an VFX artist with 10+ years experience. 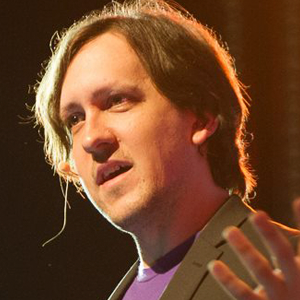 His main area of expertise is VFX, research, and shader programming. He got into digital art through a learning of old soviet computers that have shown him the value of each small ASM command and opened the door to new fields of 3D and programming. His tools of choice are Maya, Unity3D, and Unreal, but Alexander is also familiar with different 3D and compositing apps.